I bloody love eggs. I'm sure you can tell. 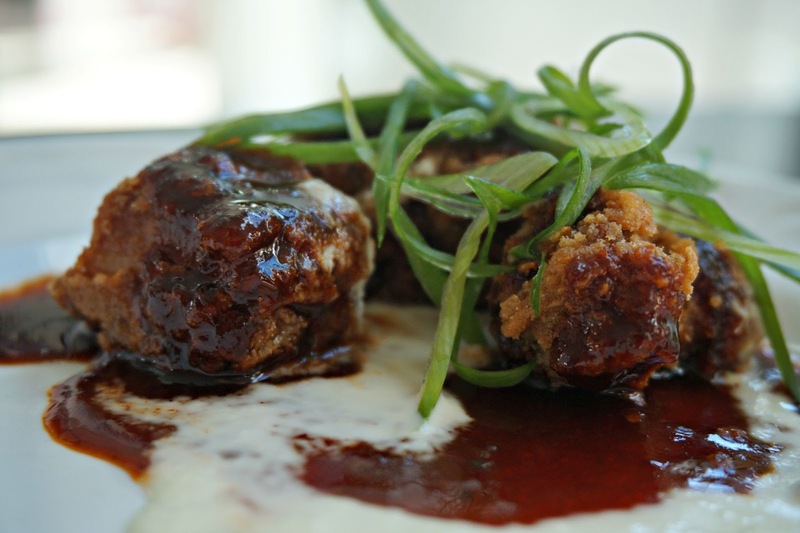 I've written about them almost as much as I've warbled on about burgers - and that's ALOT! They're just so versatile and delicious and healthy. 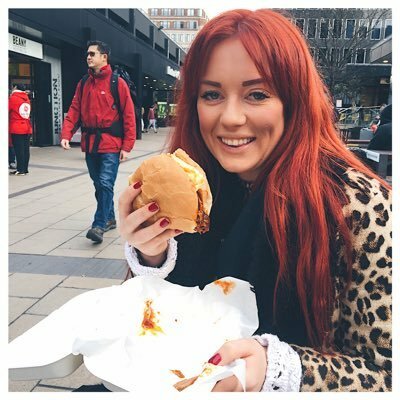 But it's not just me that thinks this - egg restaurants have been popping up all over London because chefs know they're freakin' great too. 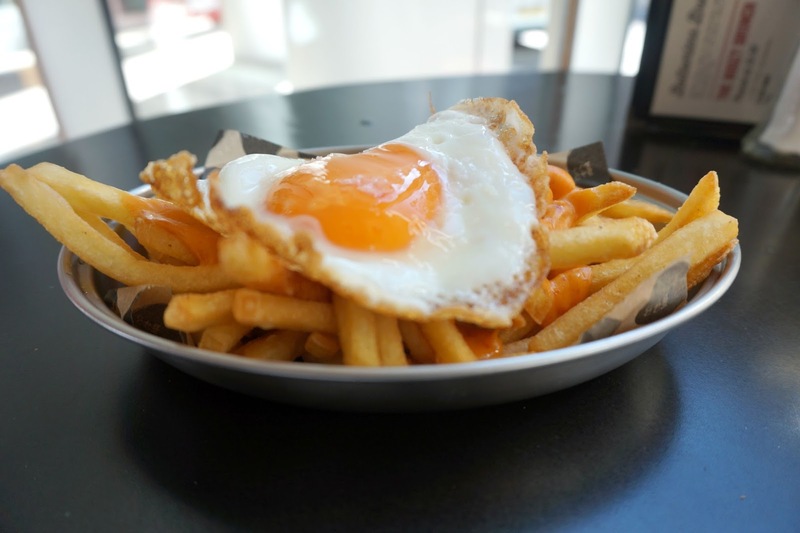 You've got Egg Break in Notting Hill, Wing Eggs in Fulham, and Stoke Newington is soon to get The Good Egg. But i like my eggs like my MJ albums and that's BADDDDD. 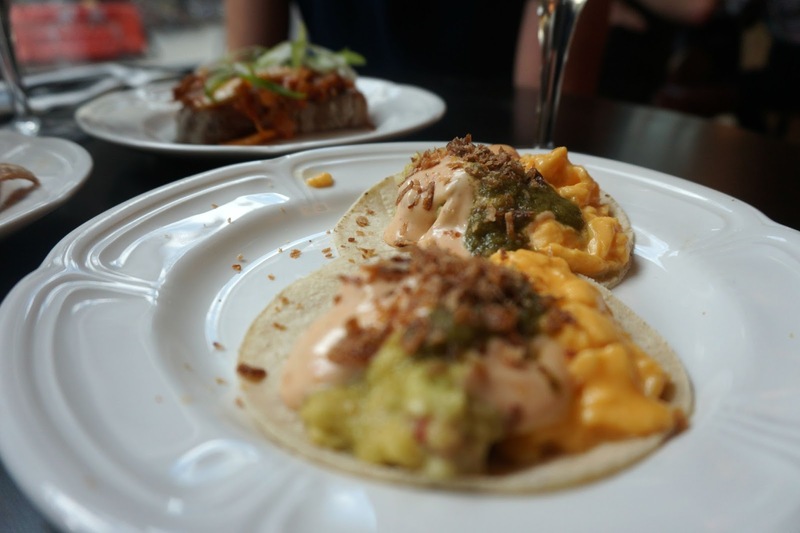 Previously heralded as the king of the BBQ, Neil Rankin opened Bad Egg in the shadow of Ropemaker Street, Moorgate last year. 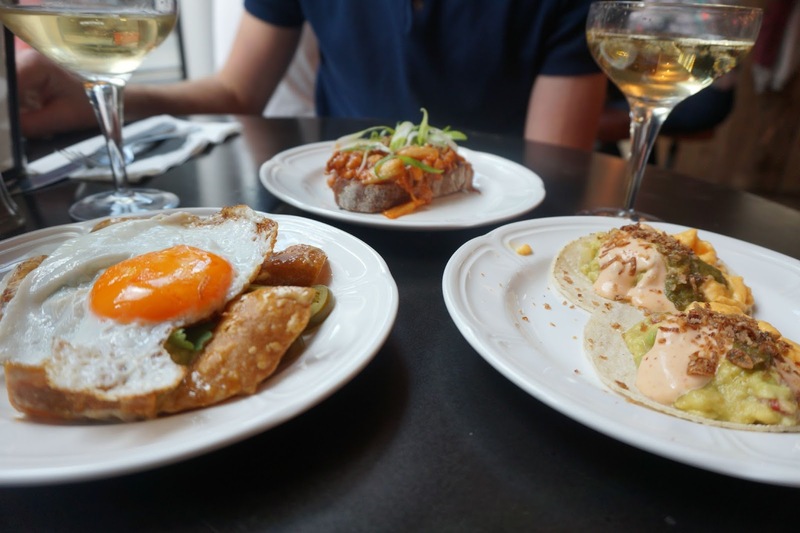 Rankin built a menu of filthy egg dishes with both Korean and British influence and as of February 2015, he went one better by creating a bottomless brunch. Tom and I went last weekend as a little anniversary treat. We arrived hungry and left very drunk - but also full from the delicious dishes on offer. 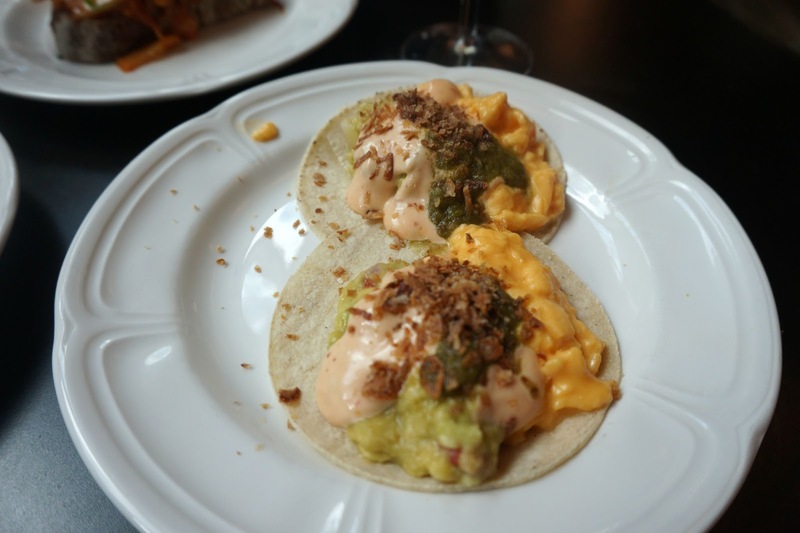 Breakfast tacos - wow. The mixture of the salsa, chipotle and guacamole was incredible. So much flavour and totally different to any way I've eaten eggs before. 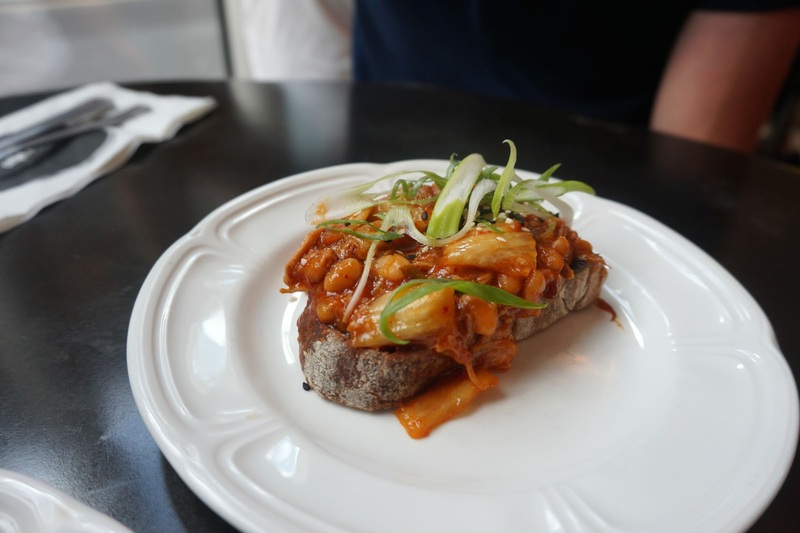 The kimchi beans on toast was one of our favourite dishes. Essentially spicy beans, with pulled pork. on toast which would be epic for a hangover. I'm surprised they didn't put a poached egg on this dish - one of the few dishes on the menu without an egg but for me the most obvious? Nduja fries with fried egg were okay but nothing to sing about. The addition of the egg for me was a bit forced - I don't think it adds anything and I'd rather of had more sauce as the spicy Nduja flavour felt lost. 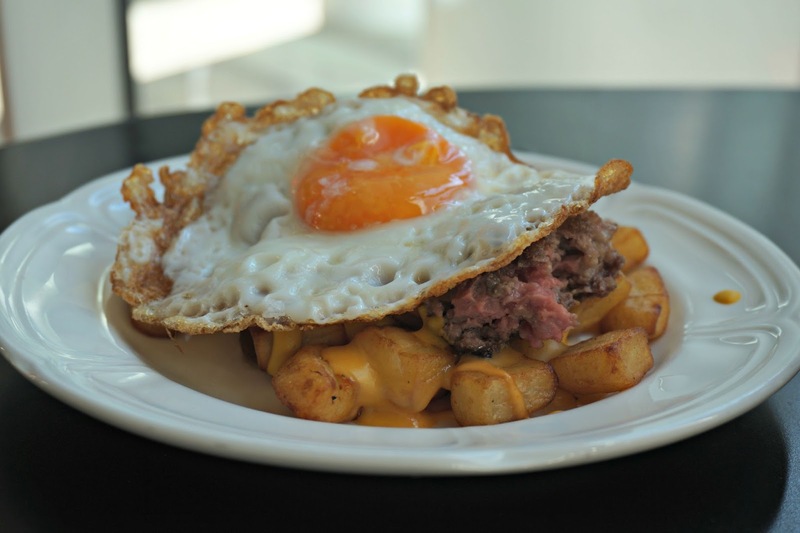 With the cheeseburger hash you get everything from the Bad Egg burger sans le bun. Not a highlight for me but I really enjoyed the potato hash and the sauces Rankin uses have incredible flavour. Finally the Korean rib tips, delicious fatty bites packed full of sticky ginger and gochujang flavour. We loved these but both thought they felt slightly out of place with the rest of the dishes. Probably works better on the full menu alongside other dishes with Korean influence. 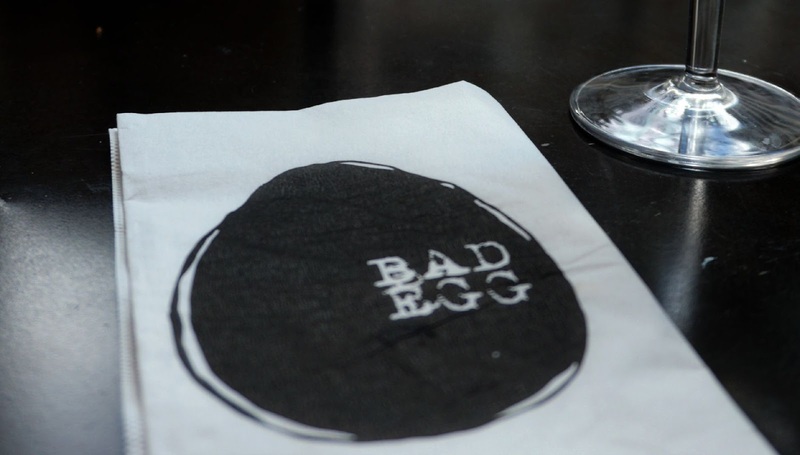 Bad Egg was anything but bad for me. 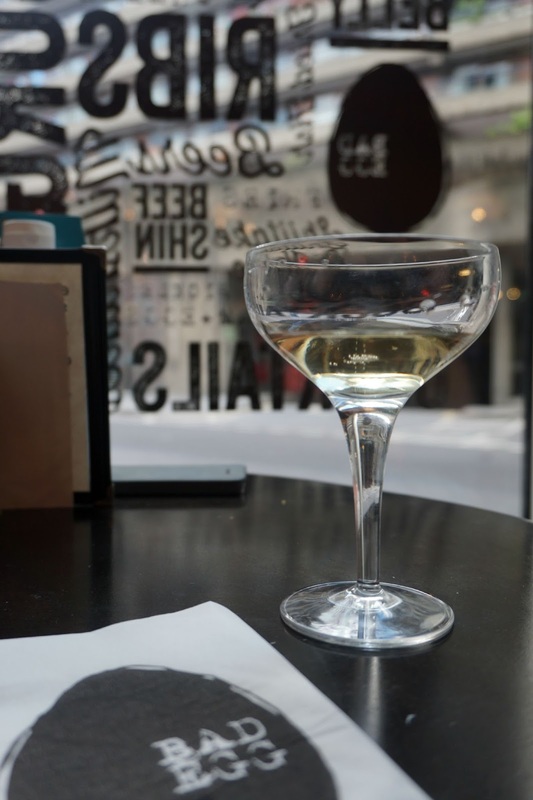 Portion sizes are fairly small, especially if you're sharing so you won't leave stuffed but if your waiter is as liberal with the cava as ours, you will leave drunk Plus you can't really quibble with £30 for food and drink of this standard. 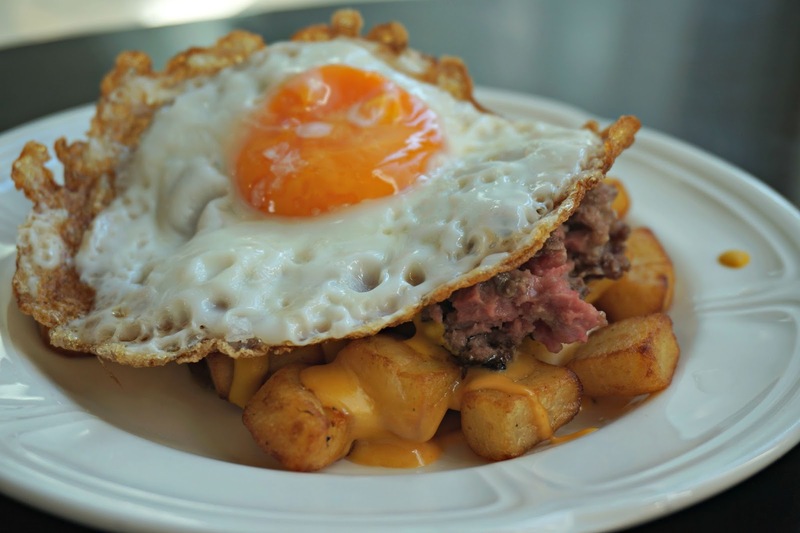 Brunch is served 10am-7pm on Saturdays and 12-5pm on Sunday - and you'll need to book.